Cordless vacuum cleaners are no longer new or strange to people, for several and interesting models/brands have been launched within the last 3 years alone. For the reason of cleaning convenience, folks now see it as an absolute necessity to purchase an easy to use cordless vacuum cleaner. The Dyson vacuum cleaner series have always presented users with ease, in respect to household cleaning. Users equally experience greater freedom during home cleaning, using the Dyson vacuum cleaners, according to user reviews. The Dyson DC59 cordless vacuum cleaner aims to take things a lot higher with regards to a good vacuum cleaning experience. The DC59 is a follow up model to the Dyson DC34; it is small, very portable and light enough for one to make use of with just a single hand, it also has an extended arm attachment that enables cleaning even the smallest of nooks very possible. Most of all, it does the same thorough cleaning just like the other regular Dyson vacuum cleaners. First of all, the Dyson DC59 cordless vacuum cleaner carries an aesthetically attractive appearance. Unlike other vacuum cleaners with not so good looking designs and features, the DC59 showcases itself as the appropriate modern cleaning gadget, with regards to its design. In order to satisfy the purpose of the DC59, it is packaged with amazing fine adjustments. The power button of the DC59 vacuum cleaner is one of such fine adjustments, attributed to the gadget. Unlike other vacuum cleaners whose power buttons are made up of an on/off switch button, the DC59 carries a power trigger which has to be held down when pressed, during the entire cleaning duration. 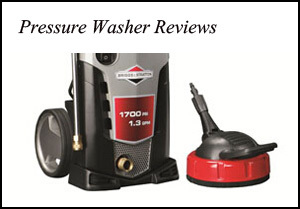 It also comes with a normal standard non-motorized cleaning head, an extra bristled extension, an extra crevice tool. These are used to clean more precise areas. As an added feature, the Dyson DC59 vacuum cleaner comes with a docking station that can be mounted on a wall. The docking station is screwed neatly to the wall and the gadget is mounted for battery charging and storage purposes. Due to its light feature, the DC59 vacuum cleaner can be handled easily, even to the extent of using just one hand during cleaning. Its long arm attachment makes it possible for one to reach out and clean very tight corners, nooks and crannies. The innovation of the power trigger of the DC59, makes it possible for one to preserve the battery life of the gadget. In other words, holding down the trigger while cleaning, enables one to clean only when necessary, considering the fact that the DC59 has just about 20 minutes battery life. For this reason alone, one can actually do a couple of full sweeps on an averagely sized 2-bedroom house with more than enough battery power and a little more to spare. Due to its unique attachments, the Dyson DC59 can be used as a hand held vacuum cleaner for cleaning car interiors and other compact areas. It can also be used as a standard vacuum cleaner for regular home cleaning. As much as the Dyson DC59 is a great vacuum cleaner, its 20 minutes battery life would definitely not do justice to cleaning a large family house. 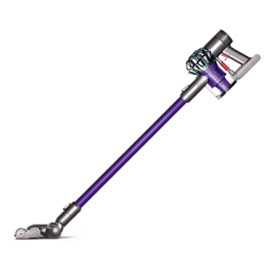 It’s obvious that not much thought was given to the material used in making the motorized cleaning head of the Dyson DC59, as continuous use usually leaves the head with scuff marks and little blemishes. These marks and blemishes give room for one to question the durability of the motorized cleaning head of the vacuum cleaner. With such a price tag on the DC59, we expect a lot more ruggedness. The DC59 comes with just 0.4litre dust capacity, a capacity that doesn’t encourage a large scale house cleaning. The Dyson DC59, considering all that has been said, is without a doubt the appropriate cleaning gadget for cleaning flats, apartments. However, if one was to clean a large family house, the DC59 should gently be put into storage and a bigger vacuum cleaner considered as the better option.